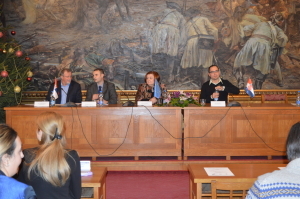 On Friday, 15 December 2017, the opening conference for the project Enriching tourism offer for persons with visual impairment and blindness – acronym VISITUS, was held at the premises of the Assembly of the City of Sombor. 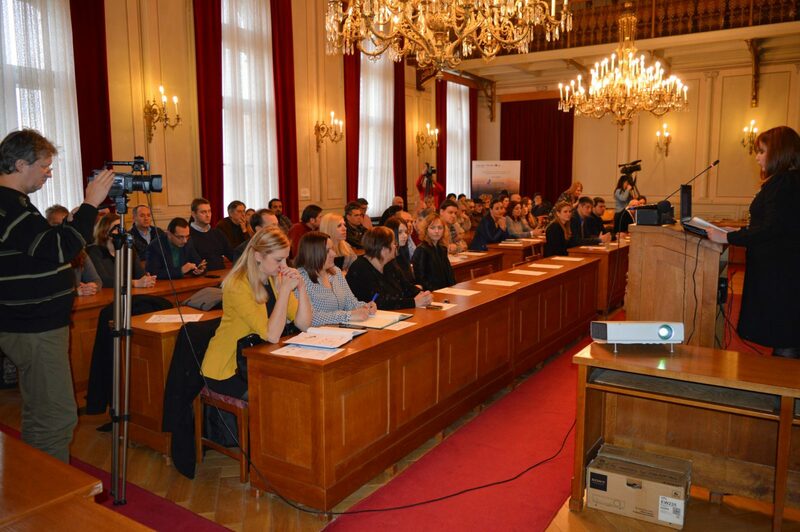 The conference was attended by over 80 participants and media representatives. 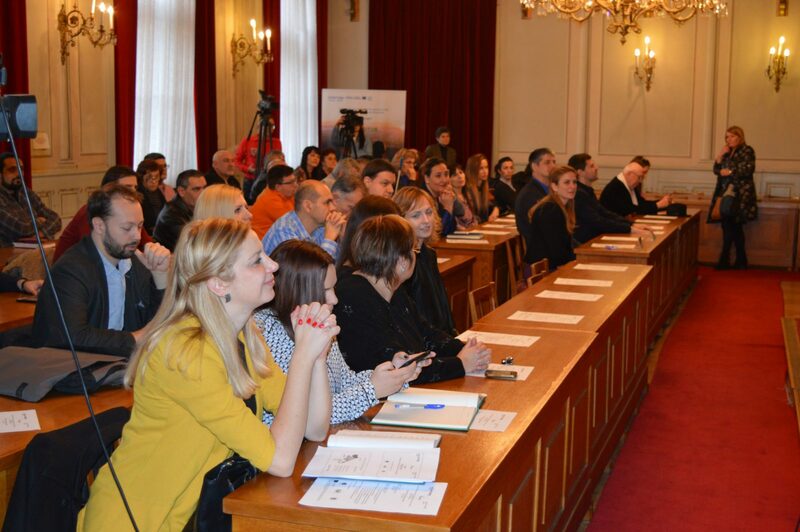 Beside the representatives of all project partners, the conference was attended by the representatives of the Association of Blind and Visually Impaired Persons from Sombor and relevant non-governmental organizations working with vulnerable groups, as well as numerous representatives from civil, public and private sector. 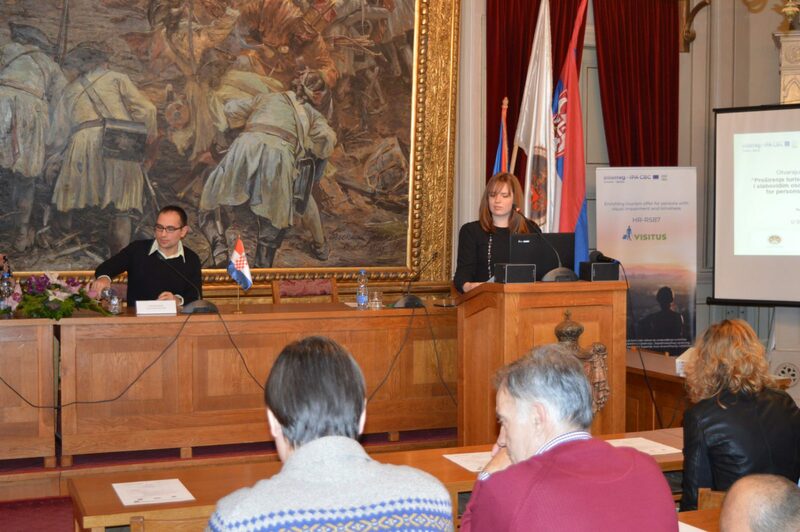 Mayoress of Sombor, Ms Dušanka Golubović greeted all the attendees, especially members of the Association of Blind and Visually Impaired Persons. She highlighted the significance of this project not only in terms of cross-border cooperation, but also in regard to the experiences which will be gained through the project implementation cycle. The Head of the Municipality of Erdut pointed out that VISITUS is the first cross-border cooperation project involving the Erdut Municipality and therefore implies great expectations as well as opportunities. 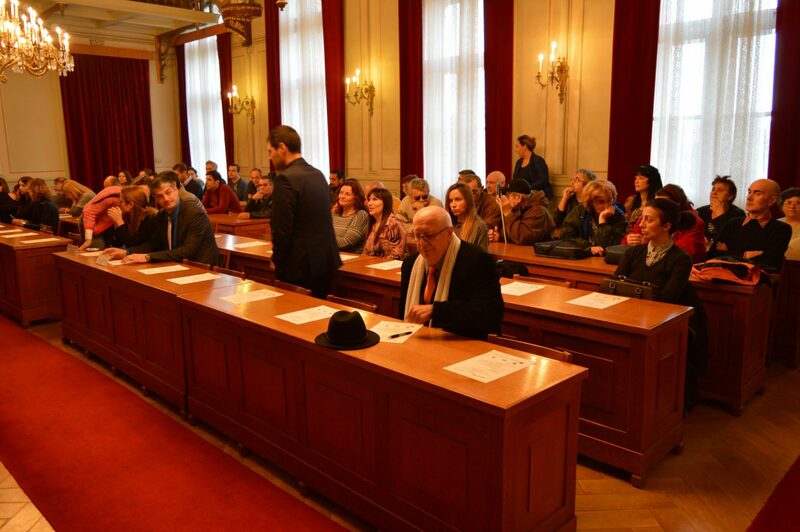 Both, Ms. Golubović and Mr. Vesić, expressed their optimism and hope regarding future cooperation, particularly in the field of joint applying for EU funds. Representatives of project partners: City of Sombor (Lead Partner, Serbia), Municipality of Erdut (Project Partner, Croatia) and Institute of Economic Sciences presented the role of each institution within the project partners’ consortium, along with the main activities they have been implementing. The participants had the opportunity to get closer perspective on project goals and activities. The main objective of the project is to create preconditions for developing accessible tourism in cross-border region through diversification of tourism offer to blind and visually impaired persons. As the target group consists primarily of blind and visually impaired persons, as well as their accompanying persons and family members, the project is based on the principle of inclusion. This should tackle existing discrimination issues towards project’s target group, enabling them to fully participate in newly generated tourism offer within the Programme area, as one of the project specific objectives. For accessible tourism in cross-border region through diversification of tourism offer to blind and visually impaired persons, it is necessary to develop modern ICT solutions and apply specialized tools using advanced ICT available to the target group. Training in which tourism workers gain specialized knowledge and skills for working with persons with visual impairment and blindness is vital to the improvement of accessible tourism. Researching and implementing best practices applied in other EU countries, mapping joint and accessible tourism offer, i.e. 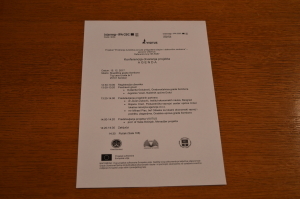 gastro-cultural routes, is to be achieved in the form of activities envisaged by the project. 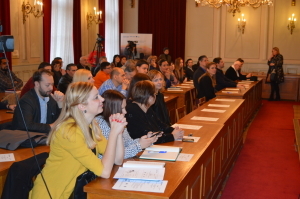 After the conference, the working meeting was organized for cross-border teams in order to discuss future steps in the implementation of the project. 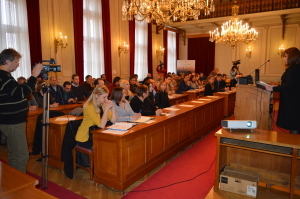 After the conference, the working meeting was organized for cross-border teams in order to discuss future steps in the implementation of the project.